Mostly during the winter months, but even all year round, we sell indoor trainers and stationary bikes. When the weather is foul, it is nice to be able to still get your ride or workout in even if it is indoors. Some people even prefer riding indoors for a variety of reasons. I thought for this blog I would run through the pros and cons of each set up to help you when considering your options. Not all can be made to work with third party software easily. A stationary bike, then, can be an excellent piece of equipment if you have the space, want something to work for multiple people easily, and can afford the up-front cost. Each user, unless they are the same size, will need their own bike to fit on it comfortably. If you don’t already own a bike, you’ll need to purchase one to utilize it. Personally, I’m a fan of a trainer set up. I’ve been using trainers for years, and I eventually even dedicated a bike specifically to the trainer. But I can remove the bike and easily fold up and put away the trainer when needed. I like having my bike that is set up correctly for me and how I ride as the bike I use on the trainer. 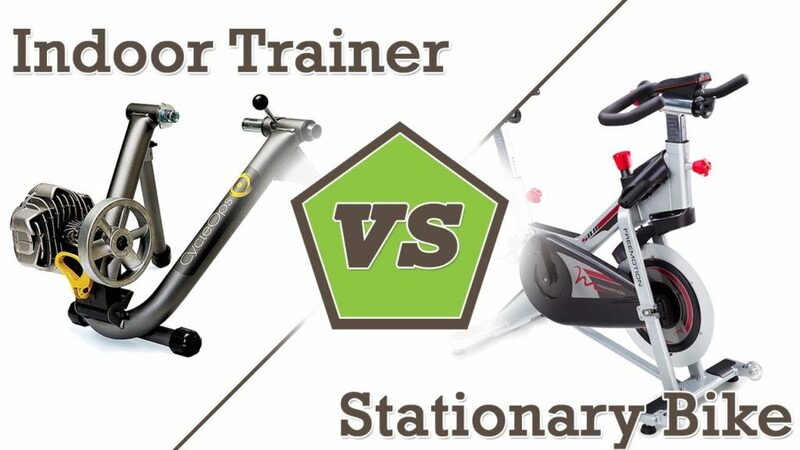 I also use third-party software for riding and training, and there are not a lot of quality options for using them with stationary bikes, but there are quite a myriad of options when using trainers. However, circumstances differ for each person, so what works best for me may not work best for you. Hopefully, this post can help you assess your options and make an informed decision.